Shared mobility services are not only growing, they also are expanding in scope. Among these trends is the significant increase in vehicle sharing programs. A recent Frost & Sullivan report noted that approximately 7 million users were sharing roughly 112,000 vehicles in 2015 in the United States alone. These numbers are expected to grow to over 36 million users and 427,000 vehicles by 2025. Market revenues are predicted to increase to more than $16 billion within the next five to ten years. The sharing economy has irrevocably blurred the once clearly defined line between personal and commercial activity, creating a multitude of challenges and opportunities for insurers. Although the concept of vehicle sharing is not new—some programs in Europe date back to the 1940s—it certainly has gained more visibility and momentum in recent years. The basic premise behind vehicle sharing is this: Individuals can gain the benefits and convenience of using a particular type of vehicle, but only when, where, and to the extent that they need or want it, and at a fraction of the price and responsibility of owning that same vehicle. In 2017 the cost of owning and operating a new car in the United States was estimated to be on average more than $700 per month. With variations in gas prices, insurance premiums, maintenance needs, and other costs across the country, this number could be much higher. For many, making such a financial investment in an asset that sits idle up to 90% of every day simply does not make much sense. Estimates vary on the impact car sharing has had or will have on vehicle ownership, but most indicate that a single vehicle in a car sharing program can eliminate as many as 15 individually owned vehicles. Several programs are currently available, from peer-to-peer sharing and fractional ownership programs to short-term rentals that allow consumers to pay by the mile, hour, or even minute. Increasing rates of participation in services like Turo and Zipcar have traditional rental car companies like Enterprise and Hertz looking to expand the scope and scale of their services. Even vehicle manufacturers have entered the fray, with brands like Cadillac and Volvo allowing access to vehicles on a subscription basis, with fees that include not only use of the vehicle but also maintenance and insurance costs. The variation in pricing models and kinds of allowable trips (one way, round trip), as well as the wide range of available vehicles, ensures that potential customers have access to almost any vehicle they want that meets their needs and budgets. As the service areas and volume of vehicles supported by these programs have continued to expand, the benefits also have grown beyond just cost savings or extra income for the participants. What does all of this mean for our industry? What are the implications for agents and the customers they serve? The sharing economy has irrevocably blurred the once clearly defined line between personal and commercial activity, creating a multitude of challenges and opportunities for insurers. 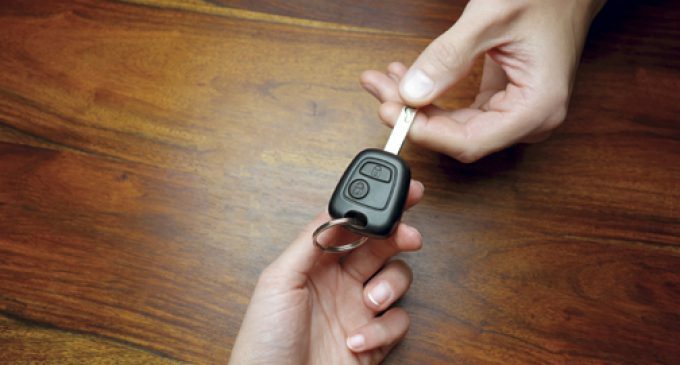 Admittedly, the risks that arise out of lending a car to a friend have existed since the automobile was invented. Similarly, rental car companies are no strangers to providing vehicles to drivers whose risk they have very little ability to assess accurately. And even with the expected growth and increased use of shared services, traditional car ownership by individuals and companies, and everything associated with it, will continue. Historically the personal auto insurance market focused on insuring individual drivers and vehicles only within the scope of personal use, leaving everything else to be insured by a variety of commercial auto insurance products. As with the rising popularity of ridesharing programs, however, continued growth in car sharing will require new underwriting and rating considerations as well as new coverage solutions to meet the evolving needs of both individual and business customers. Carriers that participate in the auto insurance market and agents on the front lines of risk assessment must take an active role in developing the solutions. As always, carriers that can adapt to changing driver behavior, new trends in vehicle ownership and use, and emerging technologies and data gathering are poised to succeed in the auto insurance market of the future. Similarly, it is imperative that agents understand these issues to assess accurately the exposures and insurance needs of their customers while securing appropriate coverage. As an advisory organization, AAIS supports the auto insurance industry in its efforts to continue to adapt to these changes and succeed in a new environment. Casey Brewer is auto product manager at AAIS. Established in 1936, AAIS is a national member-owned, nonprofit advisory organization that provides P-C carriers “best in class” insurance forms, rules and loss-cost information.